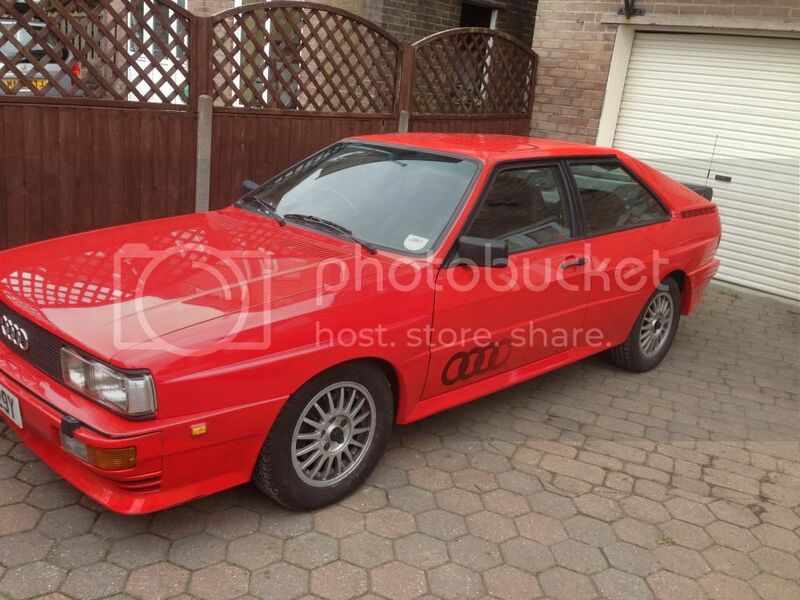 Classic Audi - Ur quattro 1983 Mars Red For Sale. 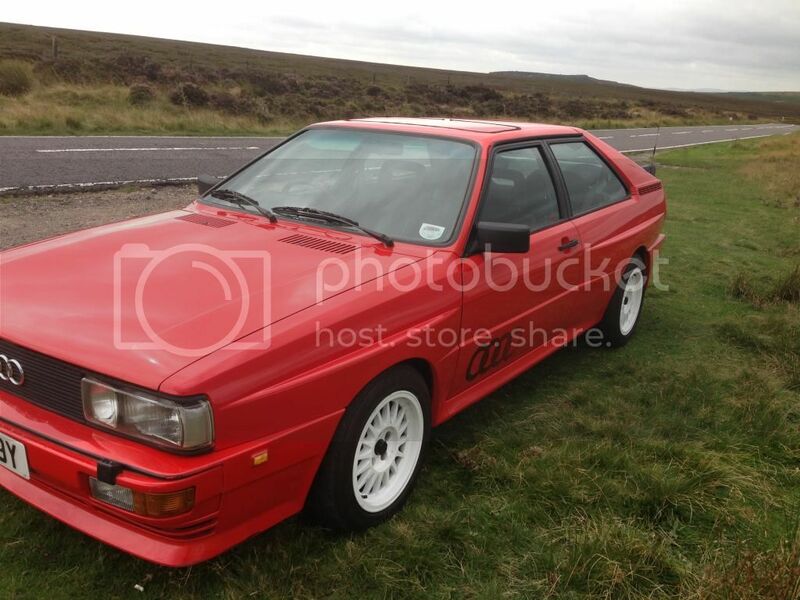 Ur quattro 1983 Mars Red For Sale. Ur Quattro, 1983 (Y reg) finished in Mars Red. 10v WR engine, analogue dash and early correct interior with flat grill and headlights. 143,000 miles with lots of history. 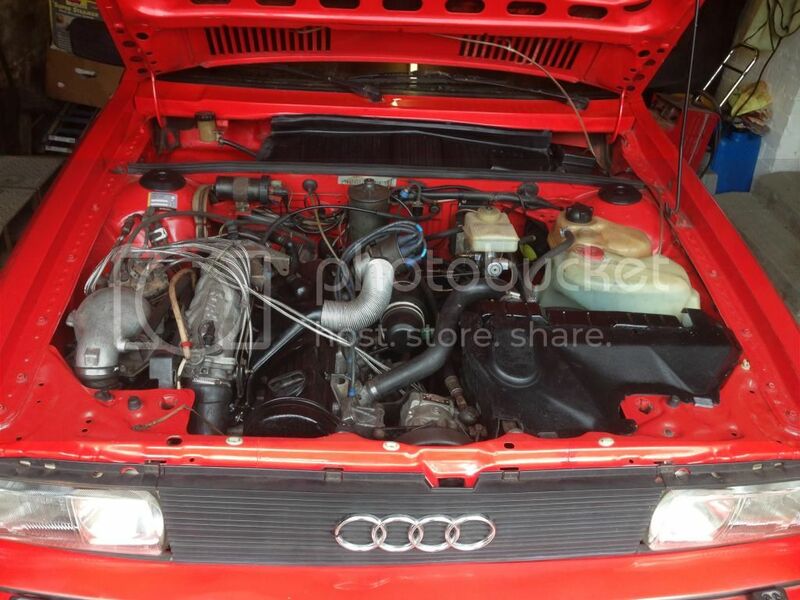 The engine has been fully reconditioned with a recon turbo also (receipts here). However the head gasget blew so I have had the head refurbed and a new head gasget fitted. The car is very solid! no rot or previous repairs around the A pillars, wings or sills. 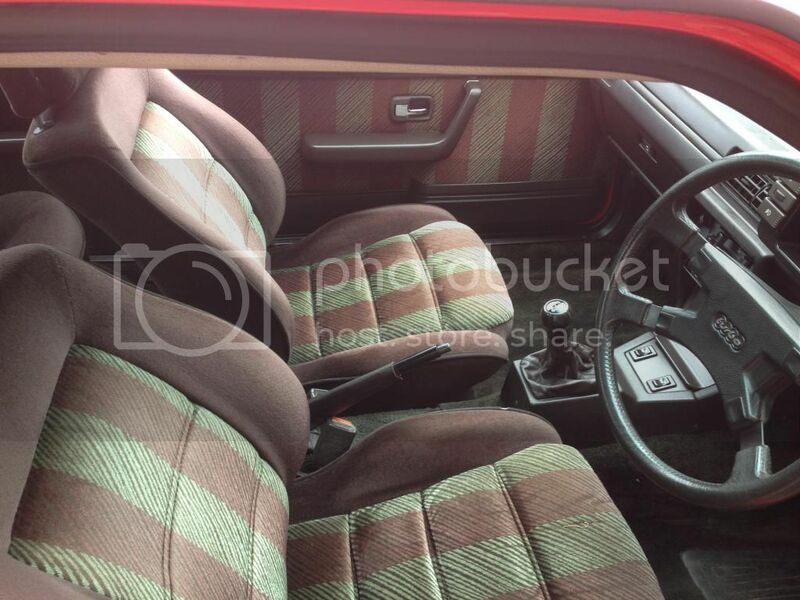 The car is in very good original condition including the interior except the drivers seat bolsters having some wear. This car has obviously been well maintained as all of the bushes have been replaced including oil cooler pipes, all brake lines etc,etc,etc. 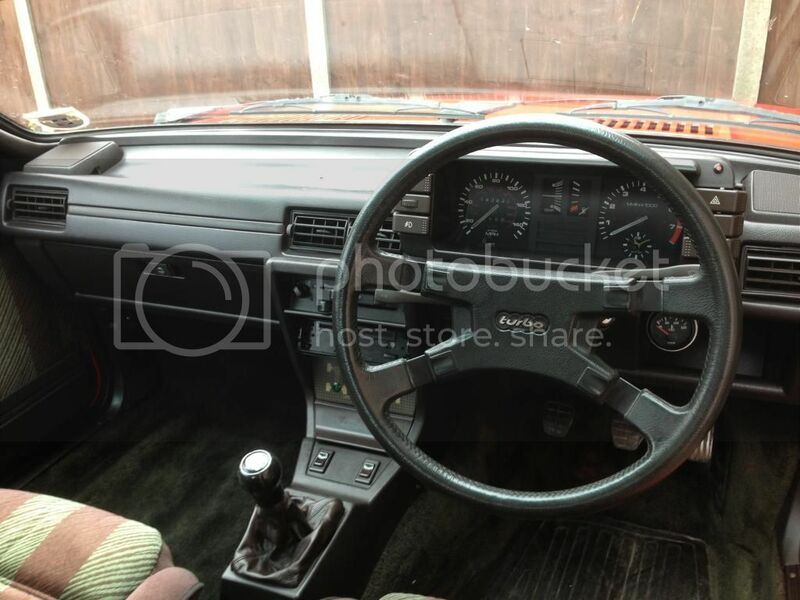 The Quattro also has heated seats and is fitted with the 6" wide silver alloys which are correct for this car. However I have available for extra a set of later 8" Ronal alloys finished in white with new 225 50 15 tyres. The car drives very well and after driving my S2 it is surprisingly nimble and chuckable. a Toad remote central locking and alarm is fitted. Any inspection welcome as this really is a good example! Looking for £7,695 ono, may PX. Thanks, you have a very keen eye Steve, re the wheels. 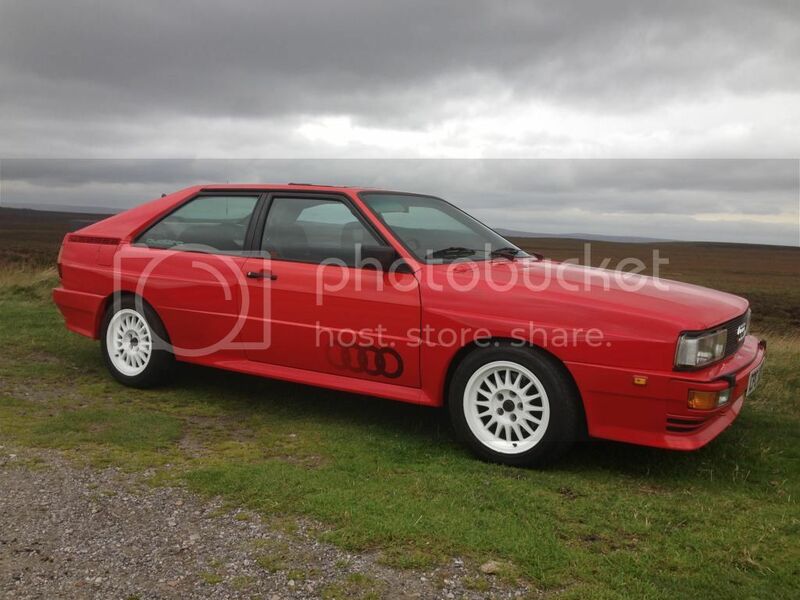 Now reduced to £6,995 may P/X type 85 quattro.